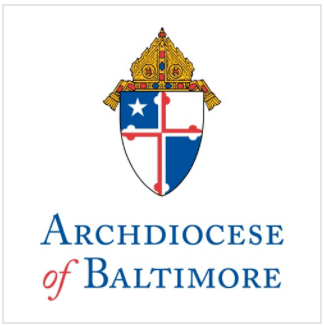 Archbishop-designate William E. Lori, former Bishop of the Diocese of Bridgeport, Connecticut, will be installed 16th Archbishop of Baltimore during a Mass at the Cathedral of Mary Our Queen in North Baltimore Wednesday, May 16 at 2 p.m. He succeeds Edwin Cardinal O’Brien, who served as Archbishop of the Nation’s oldest diocese from October 2007 until August 2011. Archbishop Carlo Maria Vigano, Pope Benedict XVI’s representative to the United States, will be among the more than 300 priests, bishops and cardinals expected to attend the Mass. He will read the Apostolic Mandate pronouncing the Kentucky native leader of the 500,000 Catholics worshipping in the Archdiocese of Baltimore. The Mass will be televised live by Catholic TV, EWTN and WBAL-TV and streamed live on the web at wjz.com and wbal.com. Approximately 2,000 people are expected to fill the Cathedral, including representatives of the more than 150 parishes in the Archdiocese and 70 Catholic schools. On the evening before, a vesper service will be held at the Basilica in downtown Baltimore for clergy and religious women and men serving in the Archdiocese. They will pray for the Archbishop and for the Archdiocese. At the start of the service, Archbishop Lori is expected to pray at the tomb of Archbishop John Carroll, first Archbishop of Baltimore and first Catholic bishop in the United States, who is buried in the Basilica crypt.